ELA.RL.6.1: Cite textual evidence to support analysis of what the text says explicitly as well as inferences drawn from the text. ELA.RL.6.10: By the end of the year, read and comprehend literature, including stories, dramas, and poems, in the grades 6-8 text complexity band proficiently, with scaffolding as needed at the high end of the range. ELA.W.6.2: Write informative/explanatory texts to examine a topic and convey ideas, concepts, and information through the selection, organization, and analysis of relevant content. ELA.W.6.3: Write narratives to develop real or imagined experiences or events using effective technique, relevant descriptive details, and well-structured event sequences. ELA.W.6.1: Write arguments to support claims with clear reasons and relevant evidence. ELA.W.6.5: With some guidance and support from peers and adults, develop and strengthen writing as needed by planning, revising, editing, rewriting, or trying a new approach. ELA.W.6.8: Gather relevant information from multiple print and digital sources; assess the credibility of each source; and quote or paraphrase the data and conclusions of others while avoiding plagiarism and providing basic bibliographic information for sources. ELA.W.6.7: Conduct short research projects to answer a question, drawing on several sources and refocusing the inquiry when appropriate. ELA.W.6.9: Draw evidence from literary or informational texts to support analysis, reflection, and research. ELA.W.6.10: Write routinely over extended time frames (time for research, reflection, and revision) and shorter time frames (a single sitting or a day or two) for a range of discipline-specific tasks, purposes, and audiences. ELA.L.6.2: Demonstrate command of the conventions of standard English capitalization, punctuation, and spelling when writing. ELA.L.6.1: Demonstrate command of the conventions of standard English grammar and usage when writing or speaking. ELA.L.6.3: Use knowledge of language and its conventions when writing, speaking, reading, or listening. 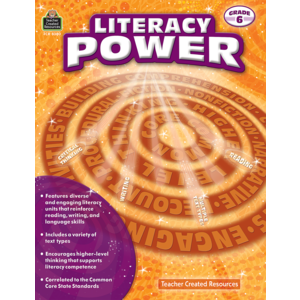 ELA.L.6.4: Determine or clarify the meaning of unknown and multiple-meaning words and phrases based on grade 6 reading and content, choosing flexibly from a range of strategies. ELA.L.6.5: Demonstrate understanding of figurative language, word relationships, and nuances in word meanings. ELA.L.6.6: Acquire and use accurately grade-appropriate general academic and domain-specific words and phrases; gather vocabulary knowledge when considering a word or phrase important to comprehension or expression. ELA.RI.6.2: Determine a central idea of a text and how it is conveyed through particular details; provide a summary of the text distinct from personal opinions or judgments. ELA.RI.6.3: Analyze in detail how a key individual, event, or idea is introduced, illustrated, and elaborated in a text (e.g., through examples or anecdotes). ELA.RI.6.1: Cite textual evidence to support analysis of what the text says explicitly as well as inferences drawn from the text. ELA.RI.6.4: Determine the meaning of words and phrases as they are used in a text, including figurative, connotative, and technical meanings. ELA.RI.6.5: Analyze how a particular sentence, paragraph, chapter, or section fits into the overall structure of a text and contributes to the development of the ideas. ELA.RI.6.7: Integrate information presented in different media or formats (e.g., visually, quantitatively) as well as in words to develop a coherent understanding of a topic or issue. ELA.RI.6.8: Trace and evaluate the argument and specific claims in a text, distinguishing claims that are supported by reasons and evidence from claims that are not. ELA.RI.6.10: By the end of the year, read and comprehend literary nonfiction in the grades 6-8 text complexity band proficiently, with scaffolding as needed at the high end of the range.